This mug makes the perfect gift for daughters, mothers, sisters or friends. 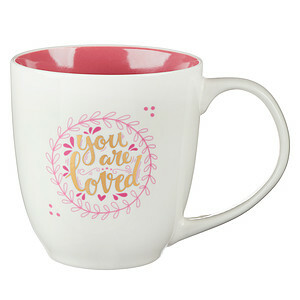 The theme of this sweet mug is "You are loved", deriving from the verse, 1 John 4:19, "We love because He first loved us." This mug will be a reminder that you are loved deeply by God. Enjoy that moment of quiet before beginning your day, through meditating on God's love while sipping from a cup that acts as a reminder. 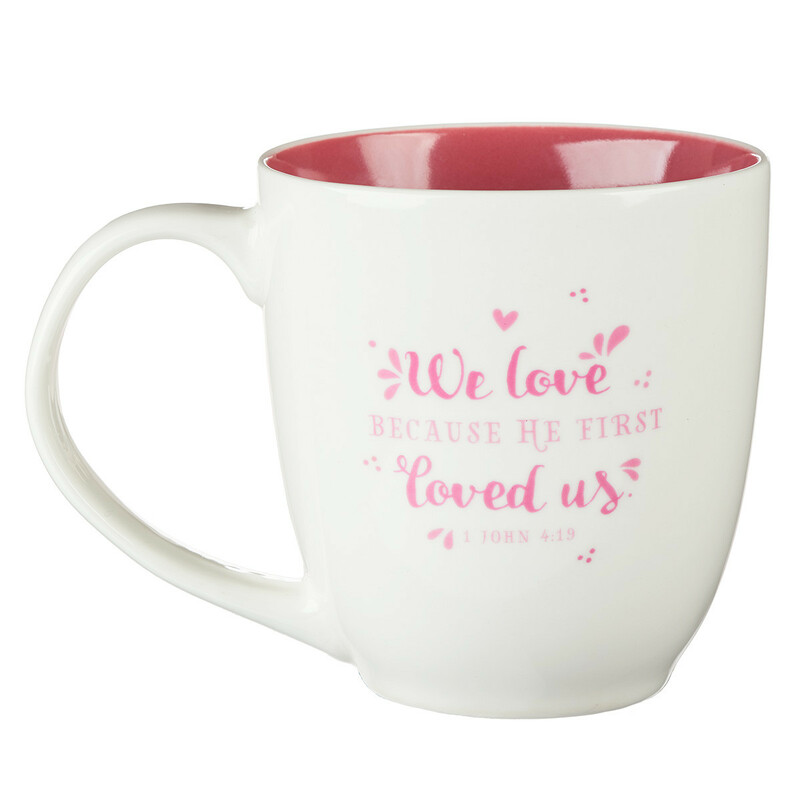 You Are Loved 1 John 4:19 Coffee Mug by Christian Art Gift was published by Christian Art Gifts, Inc. in January 2018 and is our 1073rd best seller. The ISBN for You Are Loved 1 John 4:19 Coffee Mug is 6006937142565. Be the first to review You Are Loved 1 John 4:19 Coffee Mug! Got a question? No problem! Just click here to ask us about You Are Loved 1 John 4:19 Coffee Mug.